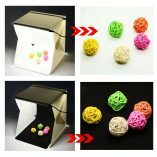 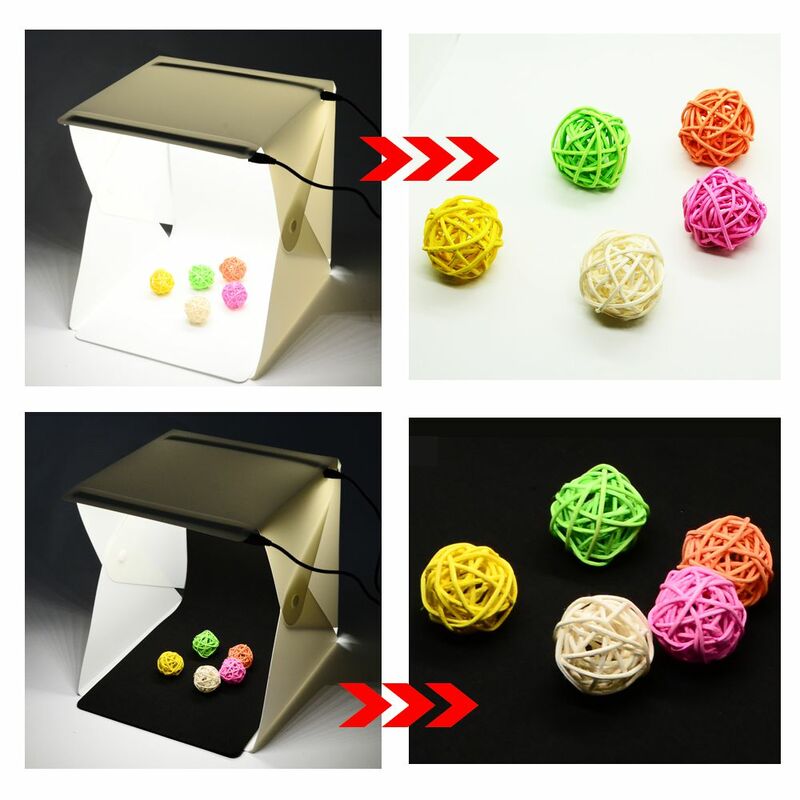 Shoot amateur product photos of small products like jewelry in consistent, bright, white LED lighting, with your choice of black or white backdrop. 2 LED light strips, powered by USB, are fixed to the top of the cube. 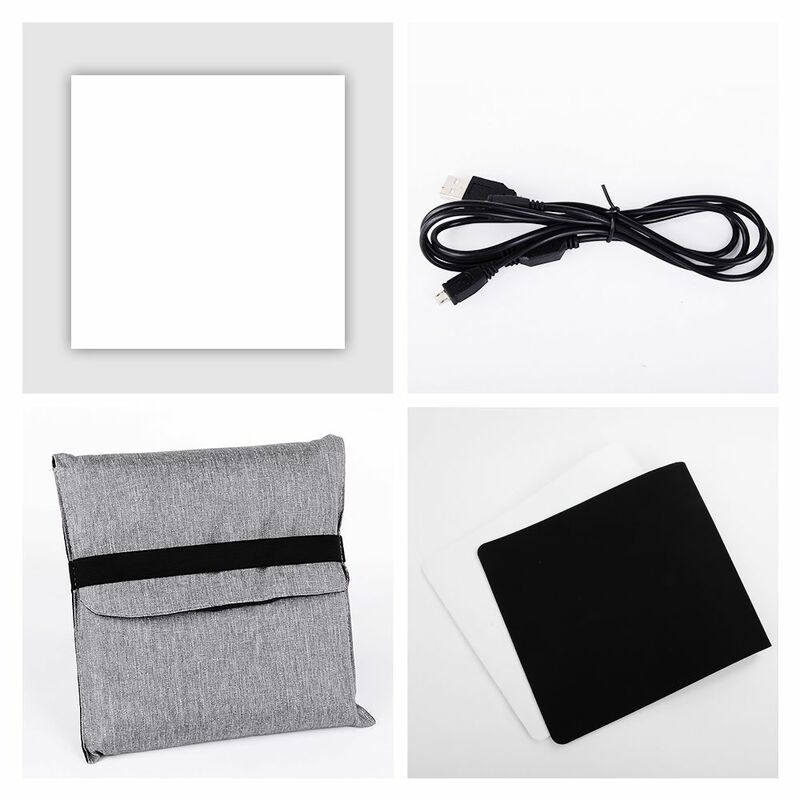 Connect the USB cable (5v USB wall adapter not included) to the LEDs and your USB port, such as a wall charger or laptop USB port to light up the cube. The cube folds up neatly and is extremely portable. 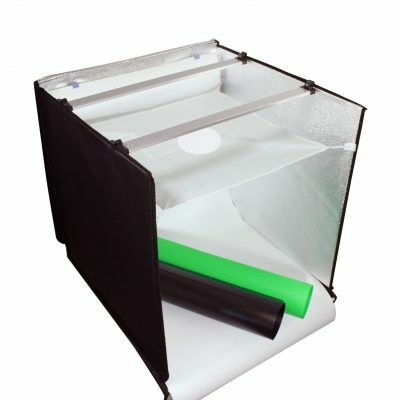 The included bag stores everything in the package for easy carrying. 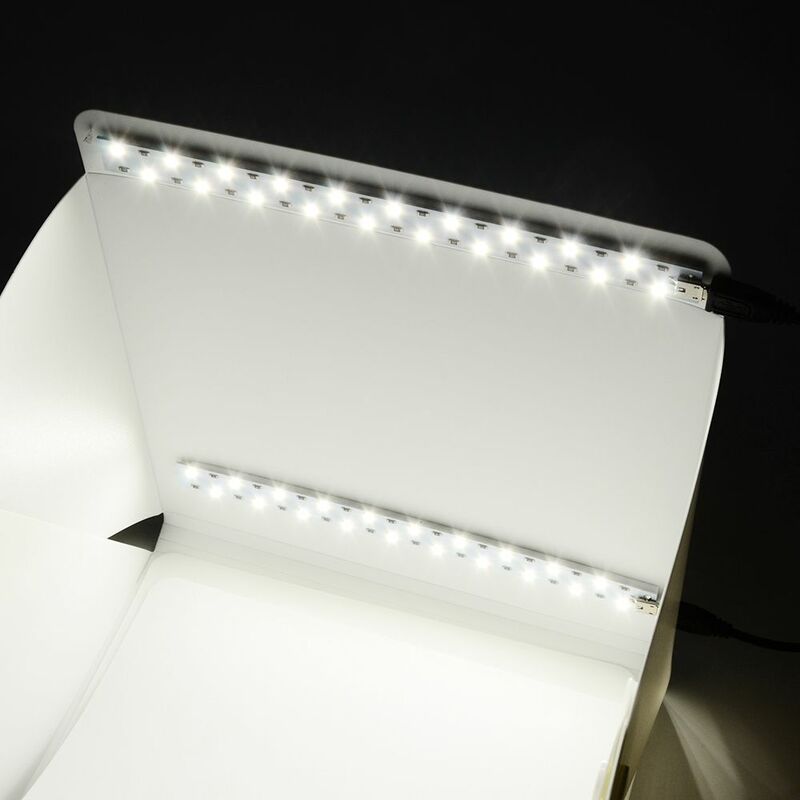 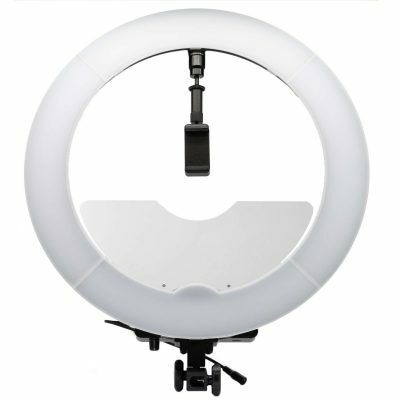 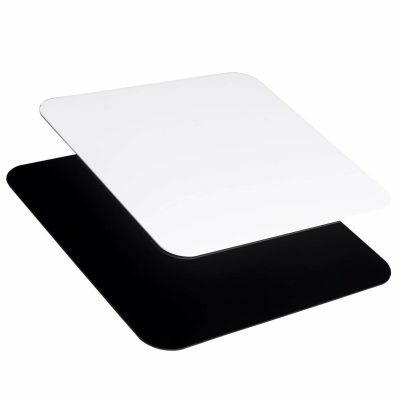 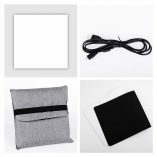 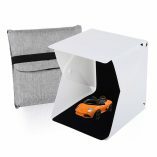 To shoot expert product photos, we recommend our 60cm LED Photo Tent.